Prime Minister Sheikh Hasina will formally inaugurate the Biman Airlines’s 2nd Boeing 787-8 Dreamliner aircraft ‘Hangshabalaka’ today. 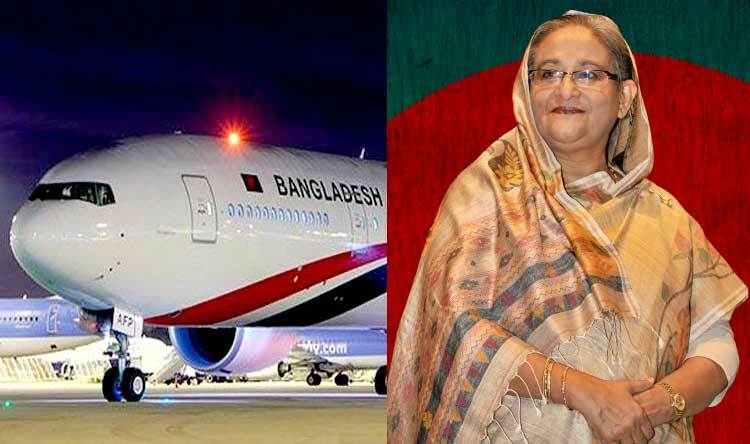 According to the Prime Minister’s Office, on Wednesday noon Prime Minister Sheikh Hasina will inaugurate ‘Hangshabalaka’ today (on Wednesday) noon at Hazrat Shahjalal International Airport and then she will go through this aircraft. At the end of last month, a press release from Biman Bangladesh Airlines said that with the addition of 787-8 Dreamliner aircraft ‘Hangshabalaka’, the number of airplane flights is 15. On August 19, the 1st Dreamliner ‘Akashbina’ came to Dhaka. It is also said in the press release that from December 10, Dreamliner will fly in the sky. From that day, 271-seat Dreamliners will operate six flights a week on Dhaka-London route, 4 weekly flights to Dhaka-Dammam route and three flights a week on Dhaka-Bangkok routes.